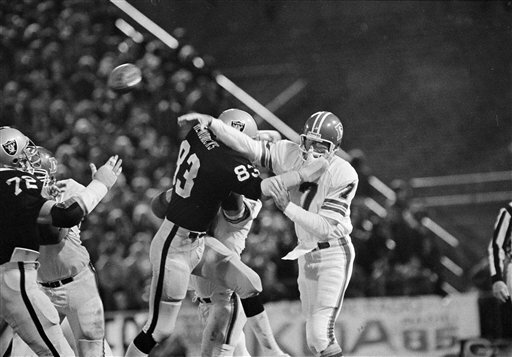 Ted Hendricks of the Oakland Raiders puts the pressure on quarterback Craig Morton of the Denver Broncos as he throws an incomplete pass during second quarter action in Oakland. Calif., Dec. 2, 1980. No penalties were called on the play. The Raiders won 9-3.